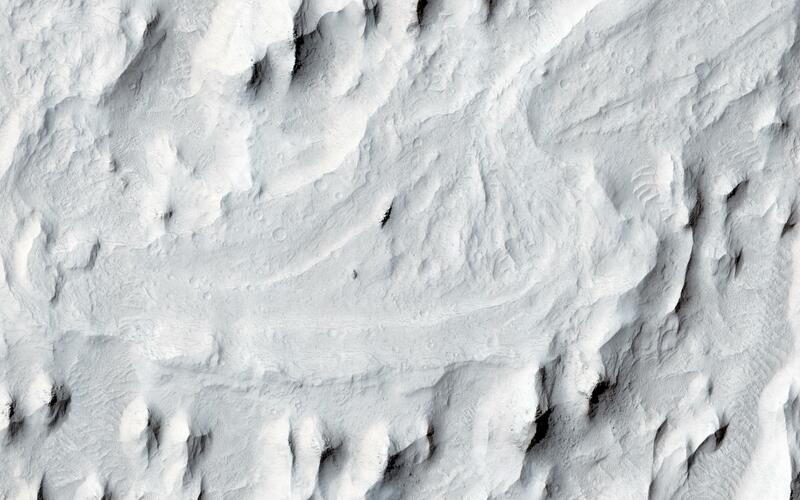 In this image, an ancient sinuous meandering river system is surrounded by features called "yardangs." 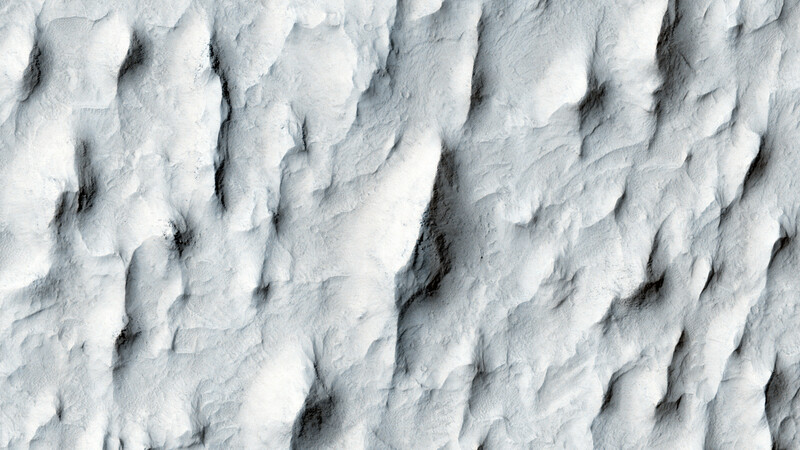 The yardangs are the ridge-like landforms that align approximately north-south. These features were created as the wind scoured and eroded the bedrock. The raised relief of the meandering river suggests inverted topography, likely due to lithification and cementation of the riverbed sediment. The cemented channel deposits were resistant, and thus less susceptible to erosion over time. However, the area surrounding the riverbed suggests that this area was a floodplain of weaker lithology that was subsequently eroded and shaped to the yardangs. 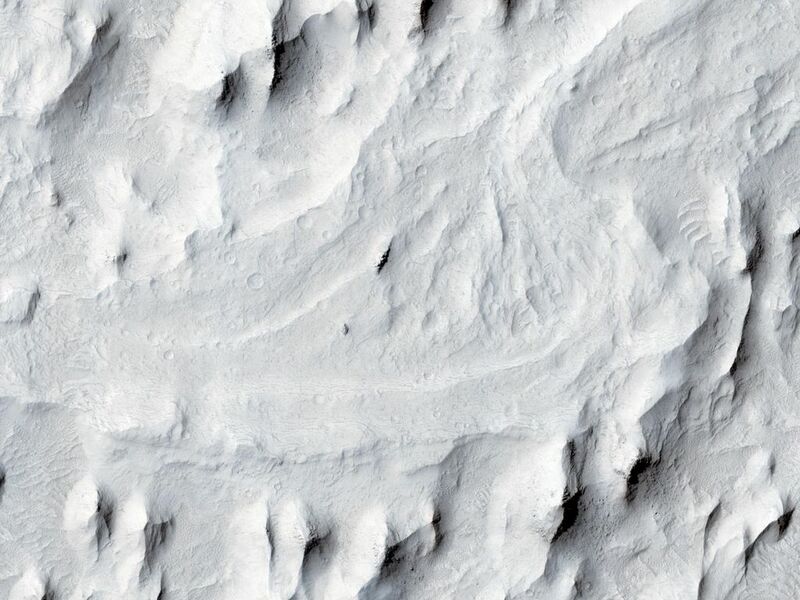 The main meandering inverted riverbed within the image has a length of about 13 kilometers. 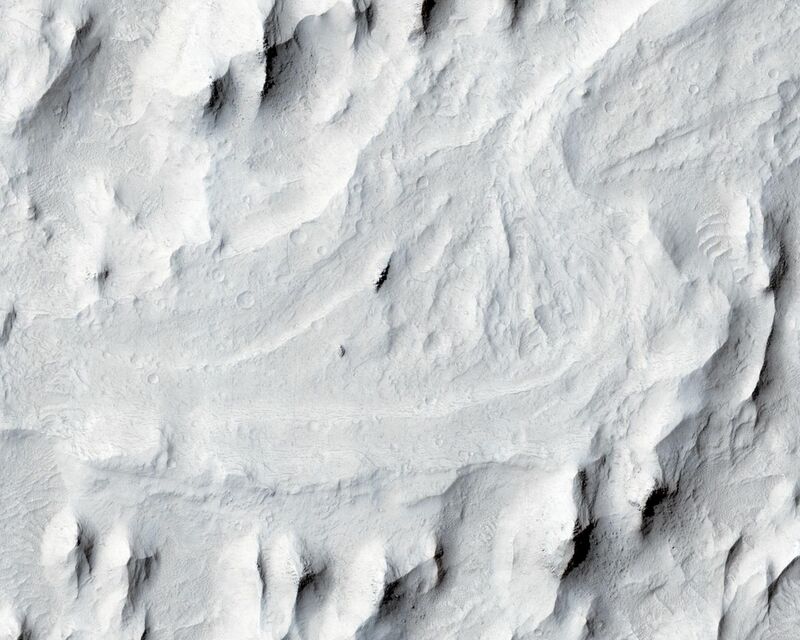 The elevation of the channel at the top of the image is on the order of 113 meters higher than the bottom, based on Mars Orbiter Laser Altimeter (MOLA) data. 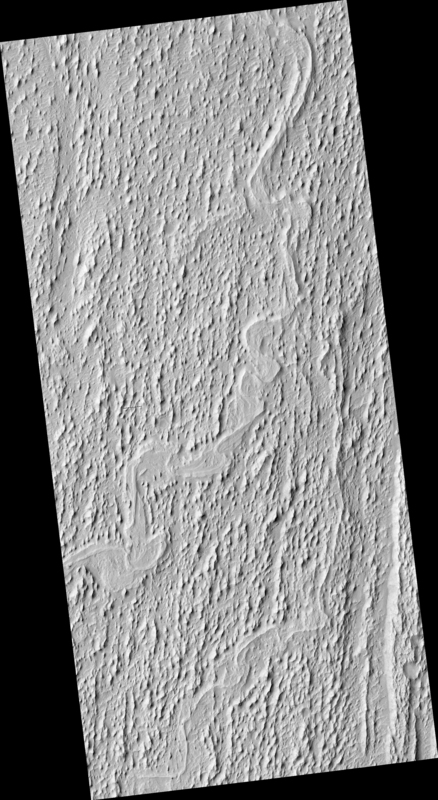 This elevation difference and the increase in sinuosity of the channel shape in the southerly direction implies that the flow of the ancient river may have been heading south-southwest. This is a stereo pair with ESP_025407_1745.